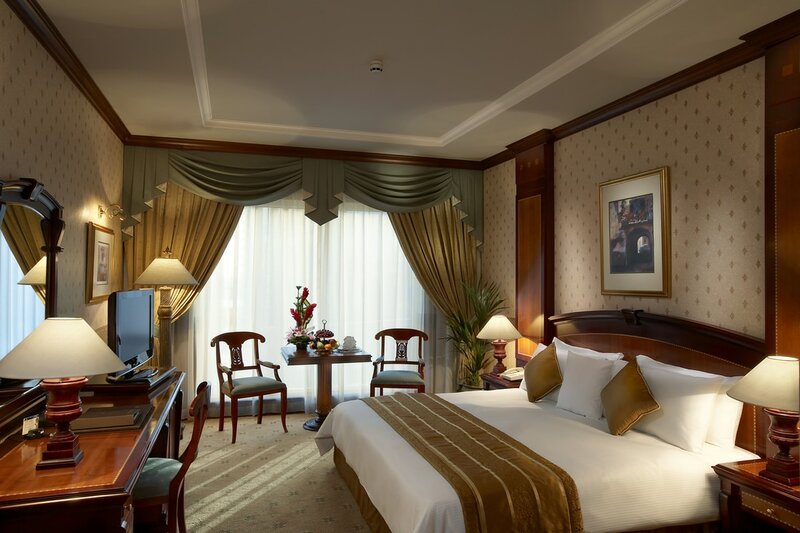 Carlton Palace Hotel is one of the premier hotels in Dubai’s Deira district, ideally suited for relaxing holidays and first-class business trips. Learn more about our elegant hotel and the experience that awaits you during your visit to Dubai. The hotel’s 212 newly renovated rooms and suites range from 32-250 square metres and overlook a magnificent balustrade-lined garden atrium with a fountain. Executive Club Room and Suite guests enjoy unlimited access to the private Executive Lounge, which features complimentary breakfast, all-day tea and coffee service, evening cocktails, business centre as well as VIP check-in and check-out service. 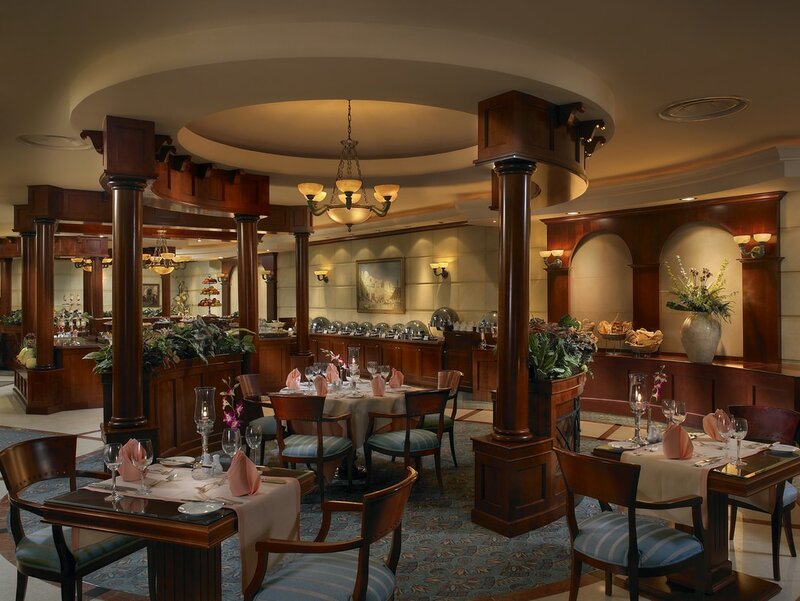 Whether you are seeking a formal or casual dining experience, Carlton Palace showcases an array of dining experiences, ranging from the elegant Al Shindagah and Sketch Bar & Restaurant to the rooftop Pool Bar and Terrace and the Gourmet Shop. Guests may also dine in the privacy of their room with 24-hour room service. Health and fitness amenities include a heated rooftop swimming pool and terrace, spa services, a fitness centre, sauna, steam room and Jacuzzi. 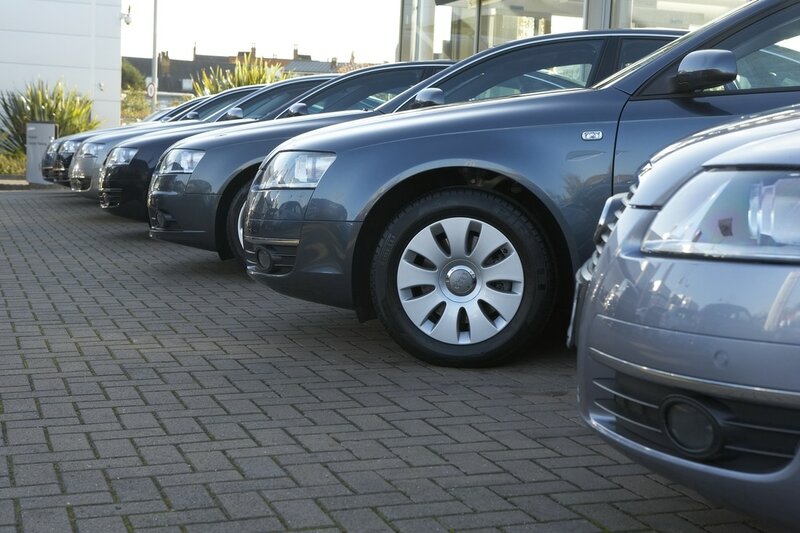 Onsite amenities include separate ladies and gentlemen’s hairdressing salons, jewellery shop, a souvenir and gift shop, car rental desk and a tour and travel desk. 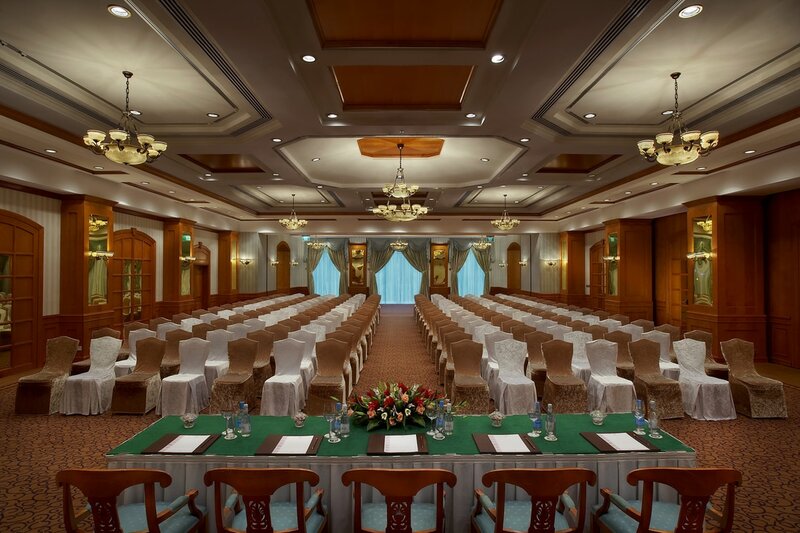 Carlton Palace Hotel offers beautifully designed event spaces equipped with state-of-the-art audiovisual technology. Our experienced conference team will design customised meetings, weddings and special events for up to 300 guests.